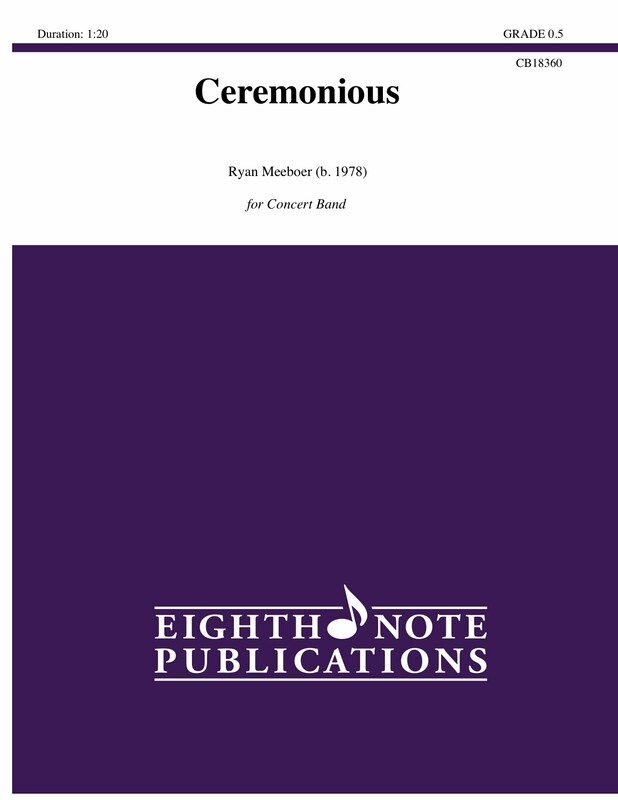 Ceremonious is a processional piece that focuses mainly on the first seven notes learned in most method books. It is a great way to teach young performers about articulations, relationships between different sections, and the roles of those sections in a band piece. All parts are simple and easy to learn, so less time can be spent on learning the parts, and more time can be focused on dynamic contrast and balance, articulations, and tone control.